"Lord, I Want To Realize... That You Are The Bread of My Life"
And, well, that's a wrap – again, every joy and grace of the Babe's Coming and these days ahead to you and yours. Keeping house custom, as ever, our sign-off belongs to this scribe's beloved countryman, teacher and friend: for a quarter-century, "The Voice" of this Holy Night. ...and not soon enough, that's the Coming we celebrate tonight. To one and all, your loved ones and those you serve, every wish for a Blessed Christmas – may all the joy, goodness and new life the Bambino brings be yours on this Holy Night and all through the days ahead. On a housekeeping note, once tonight's Vatican Midni – er, 9.30pm – Mass is in the can, this scribe's taking the Octave to catch up on sleep and grab some downtime with the clan. It's been a long, grueling six months, and Lord knows we can all use a quiet stretch, so here's to soaking it up to the hilt. The Show picks up on 2 January given the opening of the USCCB's Pope-mandated Retreat at Mundelein (a moment the bench has greeted with no end of griping). Overwhelming as the experience of this cycle has been, the line used since time immemorial as part of the Gospel of Christmas Day has felt all the more resonant: "The light shines in the darkness / and the darkness has not overcome it." To all of you who've shone this Light in the midst of these days – in so many ways in the trenches, and especially through all the kindness, encouragement and understanding you've beamed this way amid the waves – no words can say thanks enough... just know how it'll always be an unforgettable grace. 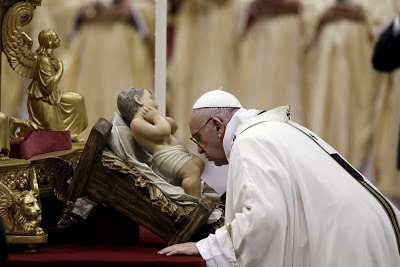 Christus Natus Est pro nobis – Venite adoremus! Buon Natale a tutti – however young or otherwise we might be, may the gifts and lessons of this Night never grow old. Merry Christmas, Church! Amid Year of Scandals, "The State of The Church" – A Choice "Between David and Judas"
In terms of policy, Christmas at the Vatican is a tale of two speeches – the season's end in early January brings the annual address to the Holy See's accredited diplomats long known as "The State of The World," while the start to the festivities sees a talk that's only recently become a pontiff's most consequential annual reflection on the life of the church. The latter practice begun by Benedict XVI with his first Christmas "greeting" to the Roman Curia in 2005 – a sweeping message still cited as the programmatic text of his reign – under Francis, the speech has become ever more loaded, and consistently geared toward his charted reform of the church's central government: a process both practical and spiritual. Portraying the dynamic of a scandal-scarred church in evocative Scriptual terms – as a choice between King David, who repented of his sins, and Judas Iscariot, "another man chosen by the Lord who sells out his Master and hands him over to death" – here below is the full English rendering of the Pope's address, as prepared for delivery. "The night is far gone, the day is near. Let us then lay aside the works of darkness and put on the armour of light" (Rom 13:12). This year, in our turbulent world, the barque of the Church has experienced, and continues to experience, moments of difficulty, and has been buffeted by strong winds and tempests. Many have found themselves asking the Master, who seems to be sleeping: “Teacher, do you not care that we are perishing?” (Mk 4:38). Others, disheartened by news reports, have begun to lose trust and to abandon her. Still others, out of fear, personal interest or other aims, have sought to attack her and aggravate her wounds. Whereas others do not conceal their glee at seeing her hard hit. Many, many others, however, continue to cling to her, in the certainty that“the gates of hell shall not prevail against her” (Mt 16:18). The sins and crimes of consecrated persons are further tainted by infidelity and shame; they disfigure the countenance of the Church and undermine her credibility. The Church herself, with her faithful children, is also a victim of these acts of infidelity and these real sins of “peculation” [Ed. akin to "embezzlement"]. Our joys have been many in the past year. 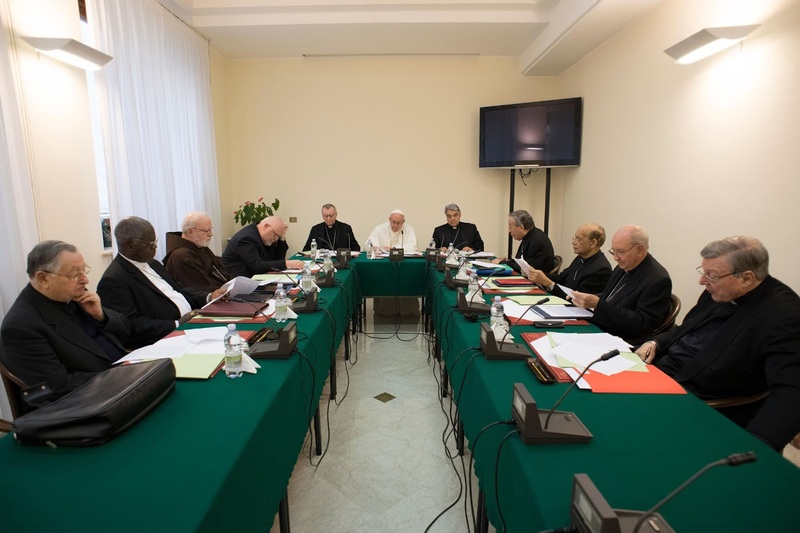 For example: the successful outcome of the Synod devoted to young people; the progress made in the reform of the Curia. [Many are asking themselves, "Will it ever end?" It'll never be finished, but the steps so far are good:] the efforts made to achieve clarity and transparency in financial affairs; the praiseworthy work of the Office of the Auditor-General and the AIF; the good results attained by the IOR; the new Law of the Vatican City State; the Decree on labour in the Vatican, and many other less visible results. We can think of the new Blesseds and Saints who are “precious stones” adorning the face of the Church and radiating hope, faith and light in our world. Here mention must be made of the nineteen recent martyrs of Algeria: “nineteen lives given for Christ, for his Gospel and for the Algerian people … models of everyday holiness, the holiness of “the saints next door” (Thomas Georgeon, “Nel segno della fraternità”, L’Osservatore Romano, 8 December 2018, p. 6). Then too, the great number of the faithful who each year receive baptism and thus renew the youth of the Church as a fruitful mother, and the many of her children who come home and re-embrace the Christian faith and life. All those families and parents who take their faith seriously and daily pass it on to their children by the joy of their love (cf. Amoris Laetitia, 259-290). And the witness given by so many young people who courageously choose the consecrated life and the priesthood. 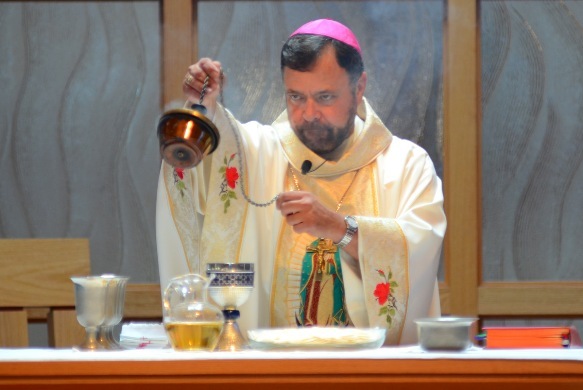 Precisely six months into the US church’s latest full-on storm of abuse revelations, the scandals have claimed a fourth American prelate – this time, in the nation’s largest diocese. At Roman Noon this Wednesday, the Pope accepted the resignation of Auxiliary Bishop Alexander Salazar of Los Angeles, who turned 69 last month. An immigrant from Costa Rica who settled with his family in Southern California in his boyhood, Salazar was named a deputy in the 5 million-member outpost in 2004 by now-Saint John Paul II. Initially assigned to the archdiocese's San Pedro Region (each of LA's five subdivisions being home to roughly a million Catholics), in the late 2000s Salazar was quietly transferred to an office at the archdiocese's Wilshire Boulevard headquarters – a shift which today's move helps to explain in hindsight. Given the revelation that CDF allowed Salazar to remain in conditional ministry from 2005, here it bears noting how, in the same year, the reins of the "Holy Office" were taken up by then-Archbishop William Levada – an LA native and onetime auxiliary there. Now 82 and retired from the Curia's #3 post since 2012, Levada recently packed up his Roman apartment to return full-time to California, where he splits his time between a condo in his hometown of Long Beach and a residence at Menlo Park in the archdiocese of San Francisco, which he led for a decade until becoming the highest-ranking American in Vatican history. If the process just undertaken sounds fairly standard, to be clear, the path to this morning was anything but. Yet what's more, in the days leading up to the initially-planned announcement, Salazar himself reportedly flew to the Nunciature in Washington with the intent of taking back the resignation he already submitted, and which Francis had already accepted. On a broader sweep, Salazar becomes the third onetime LA auxiliary to be felled by scandal over the last two decades: in 1999, Bishop Patrick Ziemann was forced from the helm of Northern California's Santa Rosa diocese following accusations of sexual harassment by a priest there, as well as financial improprieties, while Bishop Gabino Zavala, named an Angeleno deputy in 1994 at age 43, resigned in early 2013 as he confessed to having fathered two children. Tomorrow marks six months since the crisis' second major eruption in the US began with the removal of then-Cardinal McCarrick from ministry following New York's finding that a 1970s allegation of abuse against the long-retired prelate was credible. A month later, after a second man's report that McCarrick abused him as a boy, he became the first cleric in a century to resign his place in the College of Cardinals. 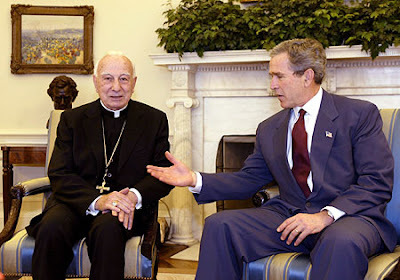 With the former archbishop of Washington already consigned to a life of prayer and penance at a monastery in Kansas, a full Roman tribunal on the allegations remains in process. Over the long slog since, the Vatican forced the retirement of Bishop Michael Bransfield of Wheeling-Charleston within days his 75th birthday in September upon claims of harassment of and misconduct with adults, and the New York auxiliary John Jenik, 74, agreed to "step aside" after Gotham's review board deemed as credible an allegation from the 1980s involving a minor. In the latter cases, what's become a sprawling investigation into Bransfield continues in West Virginia's statewide church, while the Holy See remains to make a final determination on Jenik's suspension; set to reach the retirement age early in the New Year, the auxiliary has maintained his innocence. In a word, it is epochal – for the first time anywhere, a civil court has found a cardinal guilty of sexual abuse. Capping an 18-month process that predated the wider church's re-immersion in the scandals, the conviction of Cardinal George Pell – reportedly rendered on Tuesday in the Australian state of Victoria – represents the pinnacle of a thread that's marked this fresh round of the crisis across the globe: an emboldened secular effort to enforce accountability where the church's own response is perceived as having failed. Yet even as the full effect of that reckoning is just beginning to emerge, it'd be difficult at best for any subsequent process to land a more high-profile or ranking target than the 77 year-old brawler who Pope Francis recruited as the Vatican's first-ever "CFO," armed with a broad mandate to clean up the Holy See's famously-troubled books. 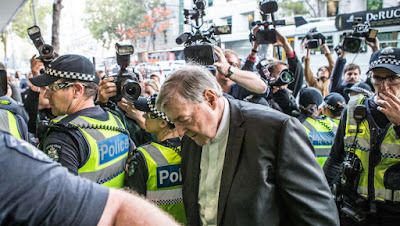 First reported by the US-based Daily Beast on Tuesday, then echoed by a host of other outlets, reporting the story has been exponentially complicated by a "suppression order" issued in June by the court, which has banned all media coverage of Pell's months-long trial within Australia, and subjecting local outlets to legal penalties – including imprisonment – should they violate it. 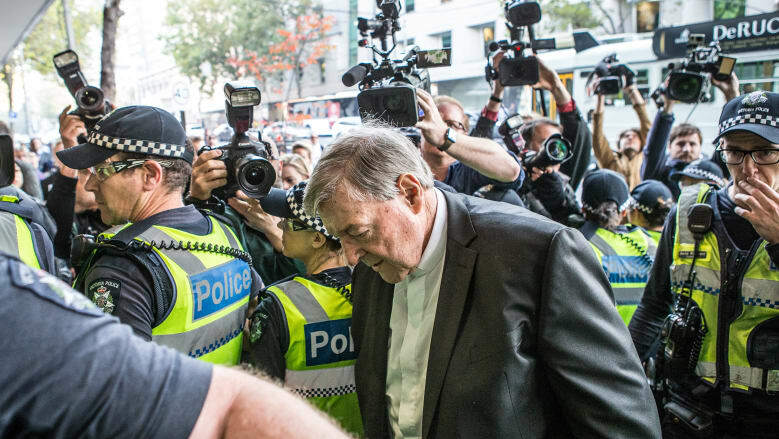 Nonetheless, a Whispers op close to Pell confirmed the guilty verdict early Wednesday, while the precise details of the charges remain difficult to fully ascertain. Before the court-ordered halt to what became a daily press scrum (and with the details of the charges already restricted during the pre-trial hearings), it was understood that the cardinal was to face two separate trials for "historical sexual offenses" alleged in discrete periods, with one set of charges from the 1970s – when Pell was a priest overseeing Catholic education in his native Ballarat – and another from the 1990s, by which time he had become archbishop of Melbourne, Australia's largest local church. However, the specifics of the charges that came to trial remain unclear as several counts were dismissed on lack of evidence during the preliminary hearing, the bulk of which took place in sessions closed to the media and public. The trial on the second round of charges is slated for March. 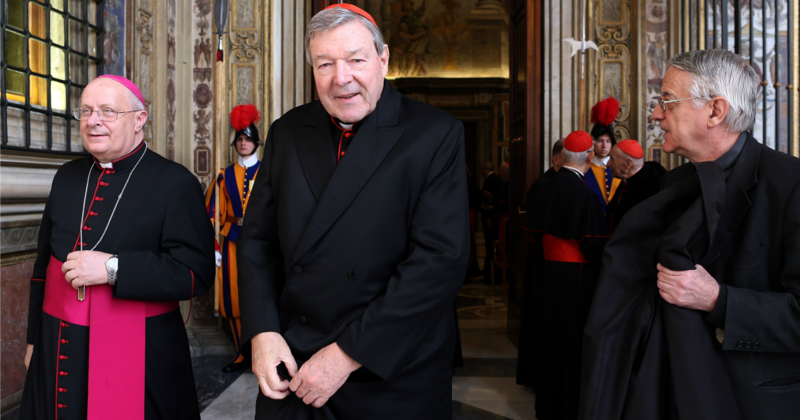 An emblematic voice of the aggressive orthodoxy that came in vogue over the last two pontificates, Pell was named archbishop of Sydney (the Oz church's most prominent post) in 2001, and given the country's sole red hat in 2003. As previously relayed, an abuse allegation against the then-archbishop had surfaced in 2002, which saw Pell publicly step aside on his own volition as a retired judge conducted a diocesan investigation that quickly found the report as lacking credibility. Regardless, the prior claim was used by the cardinal's Roman enemies to block Benedict XVI's intent to name Pell as prefect of the Congregation for Bishops in 2010 – a turn of events that ostensibly burnished his reputation with Francis, who quickly recruited the onetime Aussie Rules footballer known for being a "bull in a china shop" to assemble a new Secretariat for the Economy: a move intended to consolidate all the Vatican's financial and personnel operations under one roof (as opposed to the seven Curial "silos" across which they were spread). Even before taking on the daunting reorganization – and finally landing the Roman post that he was widely believed to have coveted for decades – within a month of his 2013 election, Francis named Pell to the new kitchen cabinet of cardinal-advisers that became known as the "C-9." In a separate development from the court case, the group's latest meeting this week ended with Wednesday's announcement that, in late October, the Pope wrote to Pell and another scandal-tarred member – the Chilean Cardinal Francisco Javier Errazuriz Ossa – "to thank them for the work they have done in these five years," indicating their respective ousters from the council, whose principal role is to advise Francis on his impending reform of the Roman Curia. 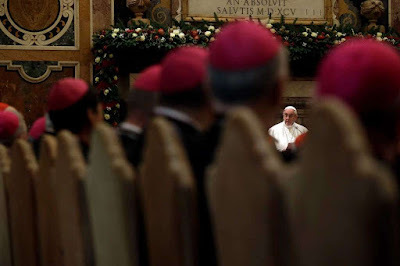 Notably, while Errazuriz said in November that he had met with Francis and had left the "C-9," his statement wasn't made to sound as if the Pope had taken the initiative on the move – and, until now, no mention whatsoever has been made of Pell's removal alongside the Chilean's. Yet amid both the fallout of the court proceedings and the more general sense that Pell had excessively roiled the Vatican waters in seeking to assert his office's dominance – a bureaucratic turf-war that ended up dealing several high-profile setbacks to the Economy arm – it has long been expected that the Australian would not be returning to Rome whatever the trial's outcome, all the more as Pell is 30 months past the retirement age of 75. At yesterday's standard wrap-up briefing on the latest "C-9" talks – the group's 27th meeting since its creation – the Vatican spokesman Greg Burke cited the Holy See's "respect" for the court order in declining any further comment on Pell's status. All that said, though the cardinal plans to appeal, it bears recalling that from the time the Australian charges were leveled on him in June 2017, Pell has never been placed under any kind of canonical suspension or penalty, instead stating that he would voluntarily withdraw from public ministry and his Vatican role, yet continuing to wear his collar throughout the court process. 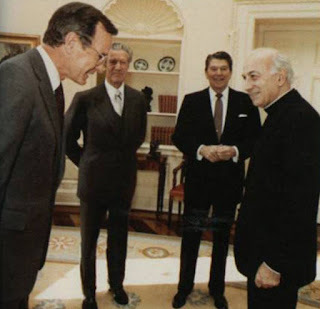 Under the precedent established earlier this year in the case of now-Archbishop Theodore McCarrick – whose two allegations of abusing minors remain to be judged in a Vatican tribunal – a civilly convicted Pell would initially forfeit his place in the College of Cardinals, and a subsequent canonical trial could result in the deprivation of his office as a bishop or outright dismissal from the clerical state. On another front, the cardinal's replacement at the helm of the Economy office has been delayed to avoid the appearance of prejudicing the civil proceedings. With the Australian church still reeling from last year's release of the damning findings of a years-long national inquest on the church's response to abuse, the Pell verdict comes atop a successful appeal by now-retired Archbishop Philip Wilson of Adelaide, whose July conviction on failing to report an allegation in the 1970s was overturned last week by a higher court. 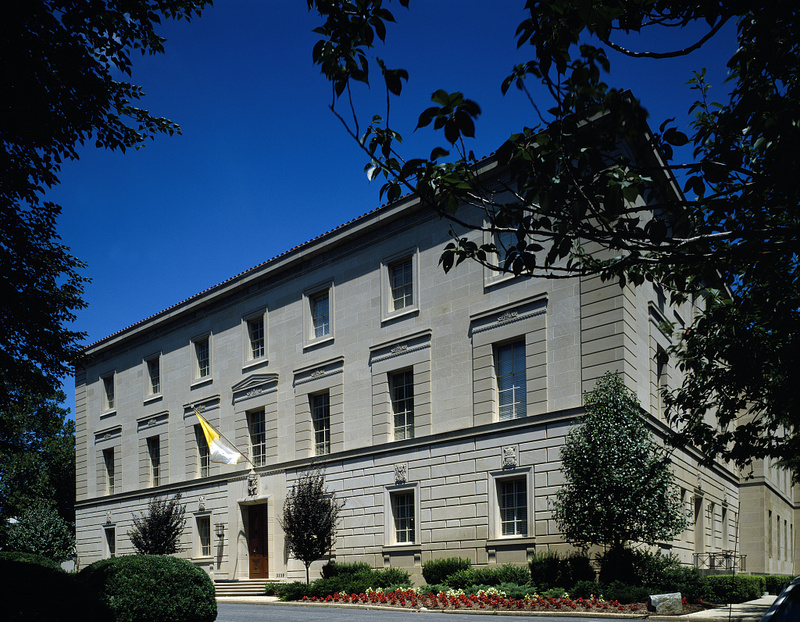 As the 68 year-old prelate was pressured to resign his southern archdiocese in the wake of his first trial – at which time he was sentenced to a year of house arrest – though Wilson could theoretically be restored to the post (his successor has yet to be named), the archbishop's disclosure of his diagnosis with Alzheimer's disease in the run-up to the trial would ostensibly preclude his return to office. In the end, however, transparency isn't just a necessary value in any civilized democracy – these days, it's of infinitely more critical import for this church. Accordingly, while a state court in Australia has its rightful jurisdiction – which its citizens have little choice but to heed – it doesn't supersede the First Amendment guarantee of the freedom of the press for an American news-outlet any more than an Iranian clerical court's rulings could determine the practice of religious freedom in these States. And if that means this scribe won't be booking a trip to Sydney Harbour anytime soon, well, so be it. Don't know about you, folks, but Advent is zipping by on this end – and with this year's calendar, by midweek it'll already be half over. 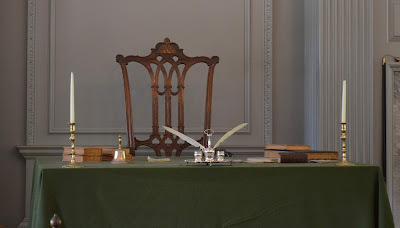 This scribe's been hoping to catch a breather as these days allow, if only events would make room for it... and, well, there'll be more of that this week. Still, as January's currently expected to bring the all-important appointment to Washington, while February will be headlined by the even more critical Vatican abuse summit and its run-up, it's as good a time as any to keep in mind that, as levels of news-import go, not every day is "Christmas" – but even if it's coming, there's prep needed for all that, to boot. 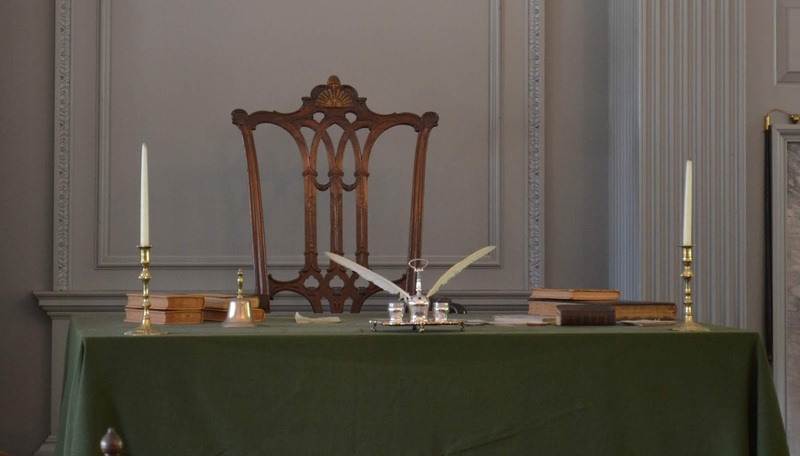 To one and all, every grace of these days, above all their peace and light... and here's hoping the next two weeks don't roll by too quickly.